This is the last Mailbox Monday for the month and the year, and December was a pretty good month in terms of acquisitions. Just out of interest, I looked at my spreadsheet to see how many books I acquired this year, and was a little shocked to see that it was a total of 127 books, but I have only read 35 of them! I blame my library. I really need to read some of the books that I have sitting on my shelves. 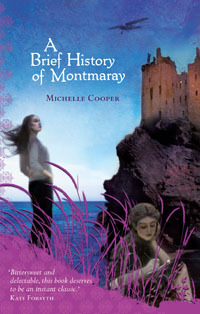 A Brief History of Montmoray by Michelle Cooper - I received this book as a gift when I appeared on the local radio station talking about book blogging! It was a lovely surprise, especially as it is a book I hadn't heard of before and it does appear to be right up my reading alley. 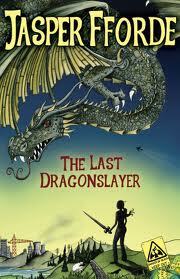 The Last Dragon Slayer by Jasper Fforde - At the end of last month I went to Perth, and so had a little time to browse the shelves at the airport. I was VERY surprised to see a new Jasper Fforde book out as I don't recall having heard anything about it! After I got home, I was at the bookstore and I couldn't help but buy it! 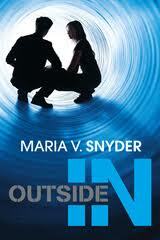 Outside In by Maria V Snyder - Netgalley is a very dangerous place to hang out! I got a number of books from there this month including this one. I really need to read the prequel, Inside Out, sooner rather than later so I can get to this one! The Crimson Rooms by Katharine McMahon - Got this one for review. Emma, Mansfield Park, Sense and Sensibility, Northanger Abbey, Pride and Prejudice and Persuasion all by Jane Austen - Because one day I am actually going to read some Jane Austen. I feel it is something that I am lacking in my reading at the moment. 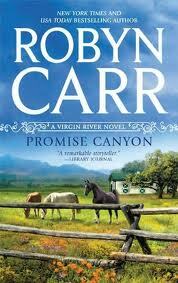 Wild Man Creek and Promise Canyon by Robyn Carr - I have been obsessed with this series over the last month or so. These are the newest two books which will be released next year, and I got these from Netgalley. Like Clockwork by Bonnie Dee - I wanted to get hold of some more steampunk and this was on Netgalley so I snapped it up. His for the Holidays anthology - Another Netgalley find, which I got because I have enjoyed the Josh Lanyon books that I have read before. That Holiday Feeling anthology - I got this book for one reason, and one reason only! There was a novella from the Virgin River series in it, and so I had to download it so I could read it. Angel's Peak by Robyn Carr - This was the next book in the series after the novella in the previous anthology, and my library didn't have it! No way could I wait for an Inter Library Loan to come though so I downloaded it, and then read it that night. This series has caused me quite a few hours of lost sleep recently. Sheltering Hearts by Robyn Carr - Another novella, this one was fortunately available as a free download from the Harlequin site. Tiny Sunbirds, Far Away by Christie Watson- Another Netgalley book. I have a literary soft spot for Nigerian literature, and whilst this one is not by a Nigerian author, it's protagonist is, so as soon as I saw it, I had to have it. Mailbox Monday was originally hosted at The Printed Page, but now it is going on tour so for December it is being hosted at Let Them Read Books. Head over there to share your links, or to see what everyone else has posted about this week. Hope you enjoy The Crimson Rooms ! I liked it, but not as much as Confinement. I really like Jane Austen, I think Pride and Prejudice is my favourite. You have a huge haul there. 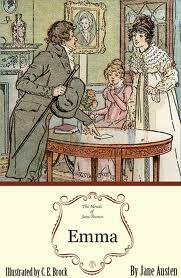 Regarding Austen you must start at least one! it will grow on you. You mean you have never read any Austen EVER? That makes you just about the luckiest person I know, because it means you have them ahead of you! Definitely Pride and Prejudice first, washed down with the 1995 Colin Firth and Jennifer Ehle BBC adaptation; then Sense and Sensibility; then Emma; then Persuasion, topped off with the 1990s film version with Ciaran Hinds (NOT the most recent BBC adaptation-ugh!). By then the juvenalia will look like a pretty good idea too. :-) How exciting. Victoria, never! I don't know how it didn't happen in school! I have seen parts of various adaptations, so part of the issue is that I feel like I know the stories already! Mystica, I will one day. Getting them on the ereader is the first step. Sam, who is Confinement by? 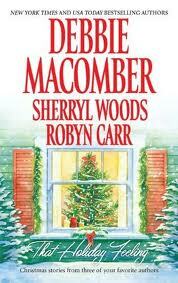 I've read 2 Robyn Carr books a few years back and liked then a lot. Oooh, I can't wait to read the new Virgin River books!! The Jane Austen books have me drooling with envy. She is always a great read! Great Mailbox, Marg! 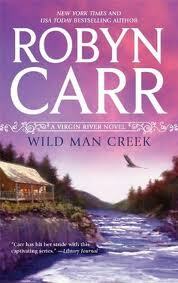 I'm gonna have to check out Robyn Carr. I snatched up Like Clockwork, too! Thanks for linking up to Mailbox Monday! Happy reading! I've not heard of the new Jasper Fforde. I'll have to check it out! I've yet to read anything by him, but I'd really like to. Hope you enjoy Crimson Rooms. I'll have a review going up next week. I have only ever read one Austen myself. I did not a single book! Here is my Monday: Mailbox/What Are You Reading? post! I had no idea that there was a new Jasper Fforde out and now I want it, badly!! I hope that you enjoy it, and all your new books and I look forward to hearing about it soon! Enjoy your new reads Marg! I received for review The Elephant Keeper by Christopher Nicholson from Tribute Books Reviews & Giveaways. "I asked the sailor what an Elephant looked like; he replied that it was like nothing on earth." England, 1766: After a long voyage from the East Indies, a ship docks in Bristol, England, and rumor quickly spreads about its unusual cargo—some say a mermaid is on board. A crowd forms, hoping to catch a glimpse of the magical creature. One crate after another is unpacked: a zebra, a leopard, and a baboon. There's no mermaid, but in the final two crates is something almost as magical—a pair of young elephants, in poor health but alive. Seeing a unique opportunity, a wealthy sugar merchant purchases the elephants for his country estate and turns their care over to a young stable boy, Tom Page. Tom's family has long cared for horses, but an elephant is something different altogether. It takes time for Tom and the elephants to understand one another, but to the surprise of everyone on the estate, a remarkable bond is formed. The Elephant Keeper, the story of Tom and the elephants, in Tom's own words, moves from the green fields and woods of the English countryside to the dark streets and alleys of late-eighteenth-century London, reflecting both the beauty and the violence of the age. Nicholson's lush writing and deft storytelling complement a captivating tale of love and loyalty between one man and the two elephants that change the lives of all who meet them. I haven't read any Jane AUsten yet either! I have seen a few TV/film adaptations and enjoyed them, and I listened to the audiobook of Persuasion read by Greta Scacchi, which was soooo well done. Her voice characterisations were wonderful! What great looking books! I love the covers on Emma and Pride and Prejudice.